In the last entry of this blog, we examined the concept of restrictive covenants and the phrase "incorporated by reference." The latter phrase is what one might consider "boilerplate." Boilerplate provisions are terms which appear in most contracts, to the point that their inclusion in the document might well be a foregone conclusion. Especially for the non-lawyer reading a contract, the natural response to such language might be to simply gloss over it or assume "It's just boilerplate, right?" While these types of terms appear in most contracts, dismissing them as "boilerplate" ignores their legal significance and why it is that they are so common. This blog entry attempts to explain the meaning of some of the most common "boilerplate" provisions. Contract law is governed by certain principles of fairness, often known as "equity." Under principles of equity, if a party breaches the terms of a contract, and the other side does not enforce the contractual breach, the other side will be seen by a court to have waived that ground for breach. In other words, the other side will give up the ability to claim a breach has occurred at all for the remainder of the contract. For example, if an employer is required to pay an employee's salary within 5 days of the end of the month, and the employer pays late one time, the employee must either enforce the breach or waive "late payment" as a grounds for breach. But parties may want to allow for occasional non-performance according to the letter of the agreement without waiving their contractual rights for all time. So, the employee may want to allow the employer to pay late one month, assuming the breach will never occur again. To allow both parties to do this, "waiver of breach" language is added to contracts. The "waiver of breach" provision states that a party does not give up its right to claim a breach in the future merely because it waives enforcement in one instance. Some contracts can be "assigned" to other parties. In other words, the parties that sign the contract initially may transfer ("assign") their obligations under the contract to another party. The assignment provision of a contract states whether this is possible for either party. In employment contracts (and in many contracts involving the personal service of an individual), the employee is not permitted to assign the contract to anyone else. The employer wants the benefit of the specific employee's performance, and does not want the employee to be able to have someone else take over the employee's duties. By contrast, the employer will likely want to be able to assign its duties. Therefore, the assignment provision may prohibit only the employee from assigning, while allowing the employer to assign. In an age of consolidation within the health care industry, this permits an employer to sell its business to another entity, which will then take over as the new employer, and assume all of the original employer's duties under the contract. Many contracts include provisions within them that permit the contract to be renegotiated in the event of a "change of law." A "change of law" is typically defined as a change to existing laws, regulations, payor policies, or other external circumstances that have the effect of rendering the agreement impossible or impractical. For example, a physician employment agreement might include language that ties compensation to the performance of work relative value units (work RVUs). However, a change in the payment policies of a third party insurance payor might make calculating such work RVUs unworkable. For example, the payor might stop paying for specific CPT codes that make up a significant portion of the employee's business. In such circumstances, the parties will want to be able to renegotiate the contract, or if renegotiation proves impossible, to terminate the contract without such termination being considered a breach. The "change of law" provision allows for this. It permits the parties to attempt to re-form the contract in accordance with the new reality, or terminate if a renegotiation proves impossible. Without such a provision, the parties would have to mutually agree to terminate, or one party would have to breach the agreement. When reading an agreement, a non-lawyer need not necessarily understand everything that is in the document. However, having a better understanding of what contractual provisions mean can help in understanding one's own obligations under the agreement. Having knowledgeable legal counsel to help navigate the process of reviewing an agreement is also helpful. 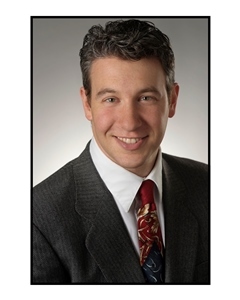 Daniel F. Shay is an attorney with Alice G. Gosfield and Associates, P.C., a practice restricted to health law and health care regulation, focusing primarily on physician representation. He has focused his attention on electronic health records license agreements, enrollment in Medicare, quality reporting and quality measurement, physician use of non-physician practitioners and physician use of social media. He regularly represents physicians in reviewing and negotiating their employment agreements. He speaks publicly and has published on all of these topics.